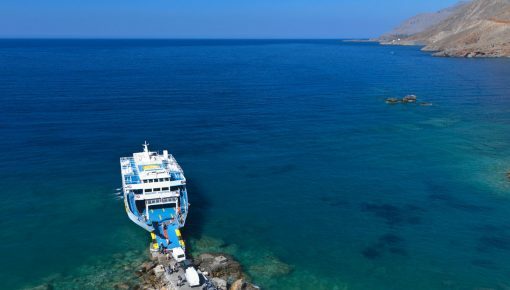 Those answers lead to one conclusion: Heraklion holidays is the best option for anyone planning their holidays in Crete. In the name of the Cretan hospitality, locals will initiate you in the Cretan feasts and festivals, an experience that you will never forget! 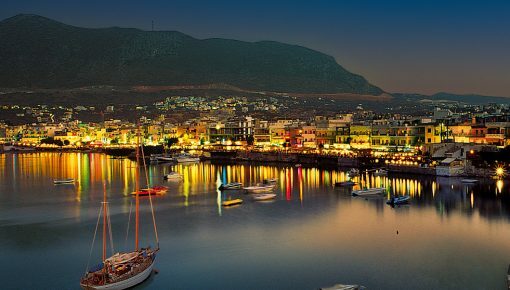 You will taste the famous Cretan dishes, drink raki without a mind, walk along the promenade in the sunset and pass through monumental Venetian gates. 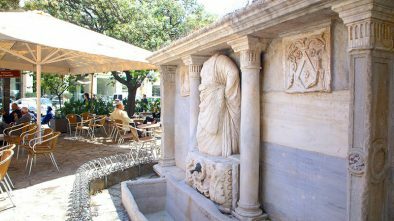 You will find yourself in very old traditional cafes or stylish bars, in Loggia, in “Georgiadis” Park, or the ramparts, enjoying wonderful views. 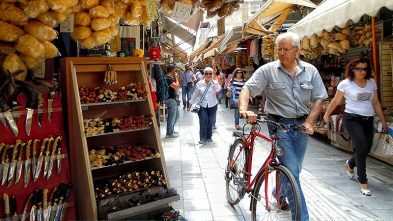 Enjoy Heraklion Holidays By Following Three Different Routes In The City! 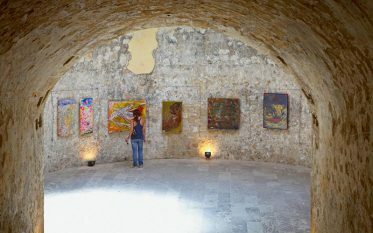 One of the three routes that are worth following in Heraklion, starts from the Pancretan Stadium and ends in the Venetian harbor. 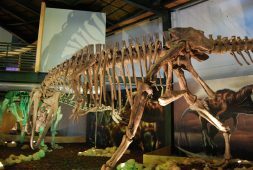 There, you will find two of the finest museums in Crete, the Natural History Museum and the Museum of History. The Venetian harbor, of course, will steal your heart with its impressive dockyards, the only thing that is left from the arsenals of the 14th century. Just opposite, you will see the even more impressive Koules, the sea fortress of the 16th century and the breakwater of 2.4 km. The locals love to walk on in the sunset. 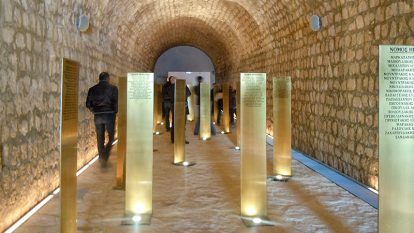 The second route is the most special: walking on the Venetian walls, along Plastiras Avenue, is an experience that will transfer you in the bygone eras of Heraklion. Venetians strengthened the Walls for more than 100 years, while it took 21 years to the Turks to sack them. This route, with the gravel paths reaches a length of 4 km. 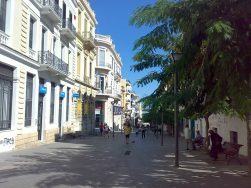 During your walk, you will see people taking their dogs for walk and the garden-theaters, representing Heraklion culture. 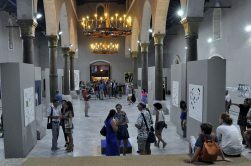 You will also admire exhibitions of special products at the Gate of St. George, the “Nikos Kazantzakis” exhibition at the Jesus Gate and watch concerts at the Bethlehem Gate. 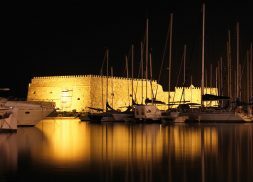 Continuing your route, you see the famous ramparts of Heraklion: “Sampionara” (sand), “Vitouri”, “Jesus” “Martinengo” (where you will see the tomb of Kazantzakis), “Bethlehem”, “Pantocrator”, “St. Andrew”. 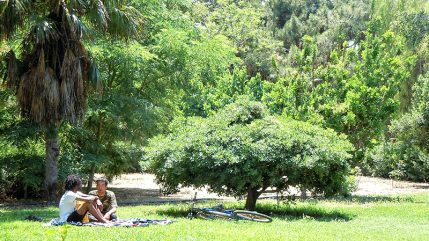 If you head to the southeast, you will see the beautiful Georgiadis Park, a verdant “oasis”. 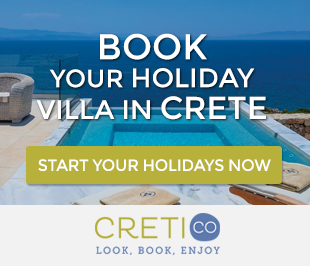 It will be your favorite alternative option while you are on Heraklion holidays. 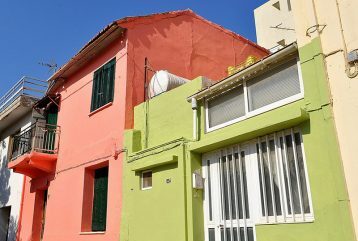 If you head to the north, you will get the chance to visit the old neighborhoods of Heraklion with low houses and narrow alleyways, such as “Saint Matthew” with its neoclassical buildings, St. Trinity, the neighborhood of artists, and “Lakkos”. 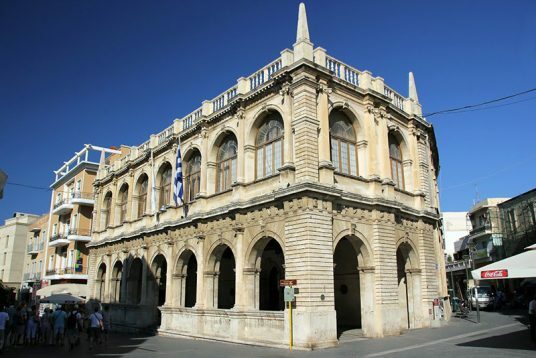 Finally, another city route you may follow, while on Heraklion holidays, is through the historical Center of the city. Probably, it is the one that you are going to follow more than once. The route starts from the Venetian Port, by ascending the “25th of August” St., with the neoclassical buildings. There is the church of St. Titus, dated from 961 AD, as well as the Basilica of San Marco, which hosts exhibitions and cultural events, but also Loggia, the most beautiful building of the city. Once, it was the Club of the Venetian nobility, while now, it houses the Town Hall. 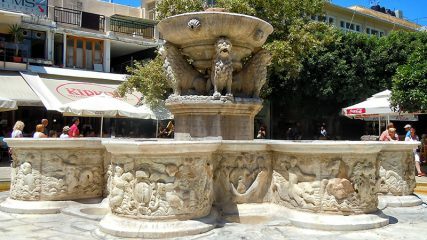 From this point until the Lions which decorate Morosini fountain, in the square of El. 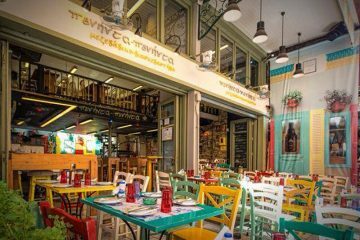 Venizelos, Heraklion reveals its rhythm: taverns, bars, cafes, events, dance nights, spontaneous celebrations … Everything takes place here! At south, you will meet the Old and the Modern Market. The Modern Market is located between Kalokerinou, Idi and Evans Streets, while the Old one in the pedestrian 1866 square. Today, in this square, somebody can find several tourist shops and taverns. Continuing your walk, the atmosphere is still great and you will reach Kornarou Square with its beautiful Venetian Bembo Fountain the Turkish Fountain of 18th century. In 1930, the Fountain was replaced by a municipal café, visited by many locals to have their coffee, read the newspaper and interact one with each other. 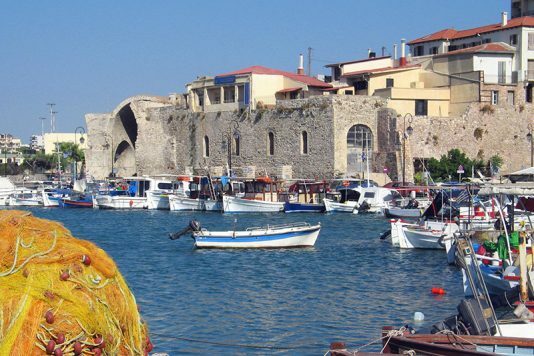 Book now your holidays for at least one week in Heraklion and get the chance to enjoy not only exciting city routes, but also, wonderful beaches and several activities in Heraklion Prefecture. 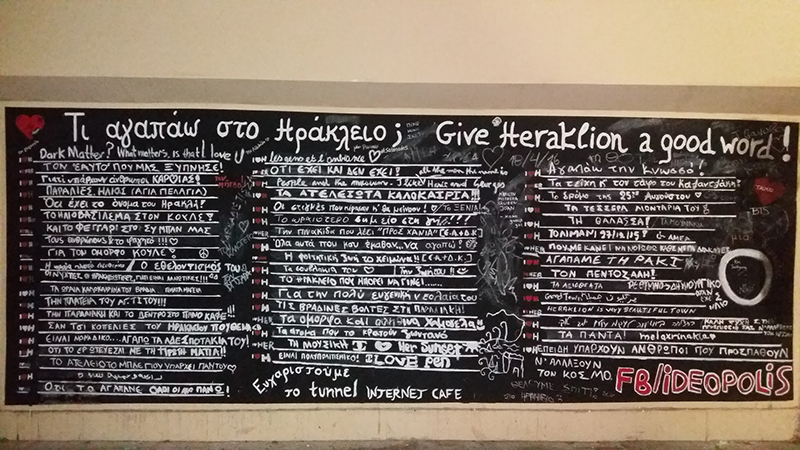 Posted on 07 Jul 2016 in Featured Posts, Trip Ideas and tagged Heraklion Highlights.